Fun and practical, author Merrilee Boyack will have readers laughing out loud as well as feeling grateful for her parenting advice. She's a mom who's spent the last 22 years in the real-life work of parenting. “I have four sons, 13, 15, 17 and 22. You know what that means,” she writes. “I'm an absolute expert in raising children 23 and older.” Merrilee offers the “LDS parenting owner's manual they forgot to give you” for training kids — from toddlers to teens — to be independent. It includes ideas for how to teach kids about money, investing, debt, and the importance of earning their own money; how to help children with emotional and spiritual development; and much more. Great road-map for teaching our children how to be independent! I bought this book after my husband and I heard the author give a lecture based on her book. We were very impressed with her ideas and plans for teaching your children to be independent. After reading the book, we were able to come up with a personalized plan for our family based on her ideas. Overall, we enjoyed her book and found it very helpful. I am still reading, but am loving the information, ideas, and format! So good- bought it twice. I love how accessible all the information and ideas are. I was given this book by a mother I adore and admire and she told me it was "a must read" to teach your children to work independently and to become self sufficient. I had already been using a great system called, Accountable Kids, so I was excited to get more information of what I can add and implement! I just got more and more excited as I read in finding out that I had already been doing some of the same things but didn't properly "train" my children to do the work the way it should be done. I highly recommend this read for us parents who want independent children and to train them to be accountable for their actions! Very organized, yet funny and flexible! This is just what I needed. I kept trying to do some kind of plan on my own, but this is much more organized which will help me be more flexible with my kids. Lucky me; they are still young. She includes things I never thought about, so now I have time to prepare to teach them. 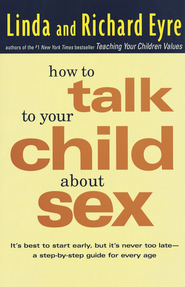 This book is helping me to become the parent I want to be. 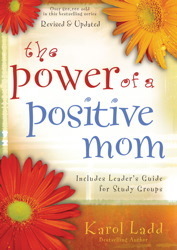 I am not much of a parenting book kind of gal, but I received this book as a gift and knew it was love from first read. I've re-read parts of this book over and over because it offers such clear, practical suggestions of how to raise responsible children. Merrilee's sense of humor and reality are a great combination in this invaluable book on training your children to work and feel good about themselves because of it. A "must read" for anyone with whiney children! Perspective changing - Loved it! So few others give good, concrete, actionable advice for parenting that I found this incredibly helpful. This book gave me a fresh and appreciated perspective of our role as parents and stewards of our children's education. Thanks!! As the parents of 4 children I feel like I'm doing the best that I can, but didn't have a focus. This book, I feel, gave me a focus. I'm recommending it to all of my friends! This book was an easy read, with lots of practical advice. We have read many, many parenting books and learned from them all, but this one has some things we never encountered in the others: a wry wit and sense of humor (Merilee-style), a list of activities/chores that children can/should learn to do at every age from 3-18, a realistic financial plan, including how to help your kids save about $12,000 between the ages of 11-18, service ideas, home life...the list goes on. It is fantastic and changing our family incredibly. Thanks, Sister Boyack! This book has really made me think about what lessons I want to teach my children and how to go about actually teaching them. It's also made me realiz WHY I feel I need to keep helping them learn the value of certain skills. Some things are easier to teach than others so I'm keeping this book on hand as a reference book! I have four boys, just like Merilee, so I loved the common sense advice and ideas! I especially am grateful for the mission savings program she outlined. I am doing this with my own boys now. This is THE book to read for ideas on raising kids! I so wish I had discovered this book earlier before my first child had left home. There is still hope for the other three. Merrilee has written the definitive plan for raising independent, responsible, intelligent, compassionate and hard working kids who will grow up to be valuable members of their own families and contribute to the good of the community. Parents who follow this plan will create children who are not a burden to society. And she does it all with such great humor and common sense that you truly believe that anyone can do this! This book should be in the new parent packets they hand out in every hospital!! I am loving your book! My son recently turned 10 years old, school just let out, and we are ready for some independence. Your ideas are direct and clear. My husband and I, both psychologists, have been implementing behavioral principles for years, but we've lacked the future vision, i.e. 'plan,' that you so thoroughly elaborate - the missing link for our only child! This book has changed my parenting mentality and has made sense of the mundane. I now have a clear goal and the rational behind many parenting challenges, making them much easier to follow through with. This book has changed my attitude and has been life altering for my children in a very positive way. I have been thinking of how I can teach important life skills to my kids at each age, and 'The Plan' was a perfect fit! I couldn't agree more with Boyack's perspective in terms of the importance of teaching kids how to work and be independent! So many parents bypass chores in favor of activities and other things, but chores should be one of the most important activities our children do! Fabulous. Every baby shower should include a copy of this book. The most useful book I've read in years. Not just theory but stuff you can really use now and forever. Buy one for everyone you love. Wish I'd Had This Earlier! I loved it! I have prepared my kids that tomorrow we start a new program around here and we are going to teach them lots of stuff that will help them in life. I even let my daughter crack eggs today which resulted in two 'almosts'--I gritted my teeth and smiled because 'I'm training her and this will pay off' ) and then a perfectly cracked egg resulted. So, I can see the results already. Thanks Merrilee!